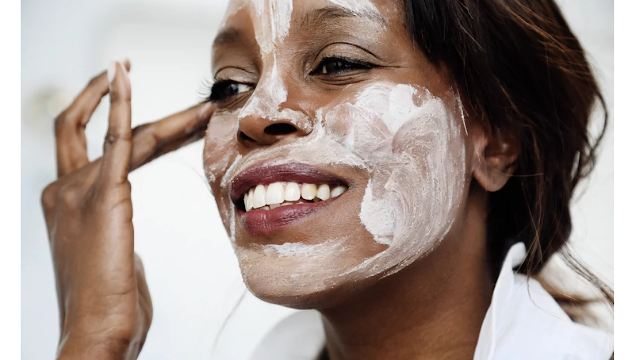 Healthy skin is such an important facet of a successful beauty routine, especially since there are so many products on the market geared towards just that. In my teens, my main skin concern was acne but after that mellowed, clear, smooth, healthy, glowing skin has been #goals for me. I can’t stand products that leave my skin feeling and looking dry so I’m always on the hunt for ones that provide moisture without breaking me out or making my skin appear greasy. Plus, my skincare routine is usually super straightforward (cleanse, treat, moisturize, sunscreen) and with summer coming I wanted to do something nice for my skin, outside of the basic steps I follow every day. So when I came across the Nyakio products at Ulta, I was very much intrigued by the fact that while the products are beautifully packaged and have high-end appeal, they’re completely affordable, not to mention full of luscious ingredients like shea butter, aloe vera, vitamins A and E, and a range of moisturizing oils. 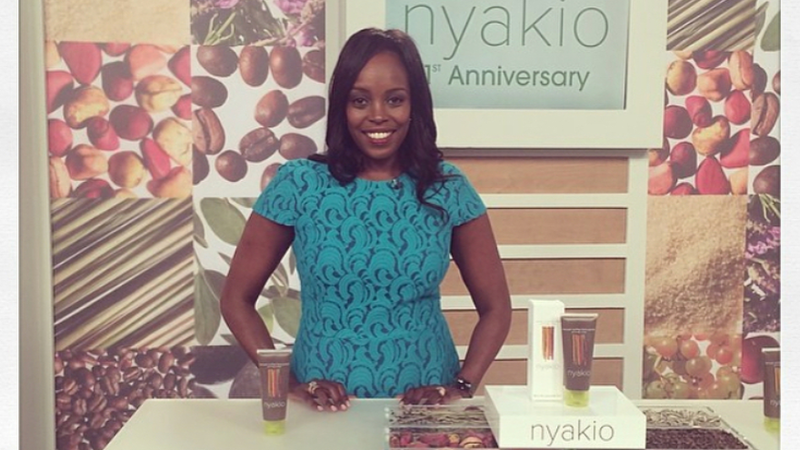 Nyakio Kamoche Grieco is a first generation American of Kenyan descent whose beauty journey was inspired by her grandmother—a coffee farmer who used coffee beans and sugar cane to exfoliate her dry skin. 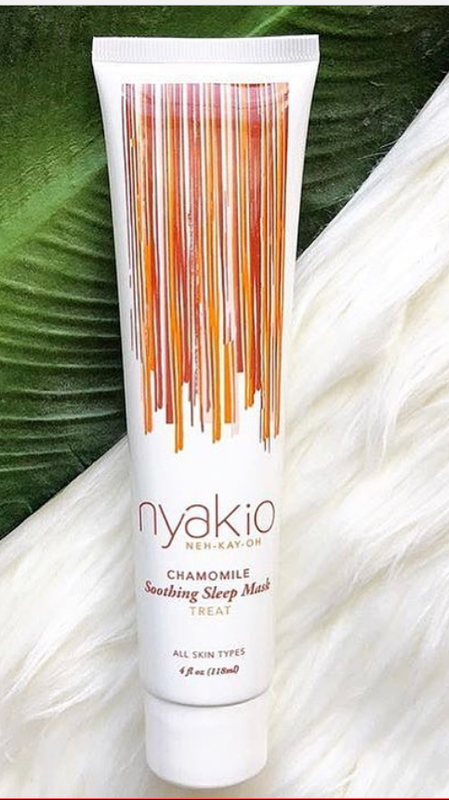 Nyakio brings her family’s beauty secrets, along with those from her girlfriends and travels, to create a luxurious skincare line that is naturally and ethically sourced to provide ageless beauty for all women. One of my favorite products is the Kenyan Coffee Lip Polish: a softening lip scrub that gently removes dry skin to reveal soft, supple lips. I never think to exfoliate my lips but when I used this product I realized I was missing a truly essential piece in my skincare routine! I will never go back to not exfoliating my lips after using this product because it left them feeling so soft and purified. After using the lip polish, I follow up with either the Red Ginseng Line Smoothing Eye & Lip Cream or the Baobab Lip Balm, which are both super moisturizing. The Eye & Lip Cream is thick and slightly hard like shea butter, but melts as soon as it touches your skin. For me, the Baobab Lip Balm is the perfect complement to the lip polish because it is a rich, non-greasy balm that efficiently replenishes your lips after gently exfoliating them. At night, I like to alternate between the Chamomile Soothing Sleep Mask and the Maracuja & Yangu Soothing Oil after cleansing. Formulated for all skin types, the Chamomile Soothing Sleep Mask goes onto the skin like a creamy lotion, and left my face feeling cool and relaxed. It really is the perfect mask to sleep in because since it is like lotion, it isn’t messy and I wasn’t worried about it rubbing off on my bedding. Upon rinsing it off in the morning, my skin felt softer than ever—it’s almost like it rejuvenated my skin overnight! A lot of masks leave your skin feeling dry before rinsing and I was quite pleased that this one didn’t. Lastly, I always refresh underneath my eyes with the Quinoa De-puffing & Firming Eye Cream, which does exactly what it promises and is a total must for those days when I just don’t get enough sleep. Since I do have oily/acne-prone skin, I was super apprehensive about using the Maracuja & Yangu Soothing Oil. But, I did my research and discovered that many of the oils in this product like argan oil, jojoba oil, shea butter, safflower oil: are actually good for acne-prone skin. What’s great about this product is that even though it’s oil-based, it’s thick like a serum and made my skin feel moisturized and not greasy or oily. 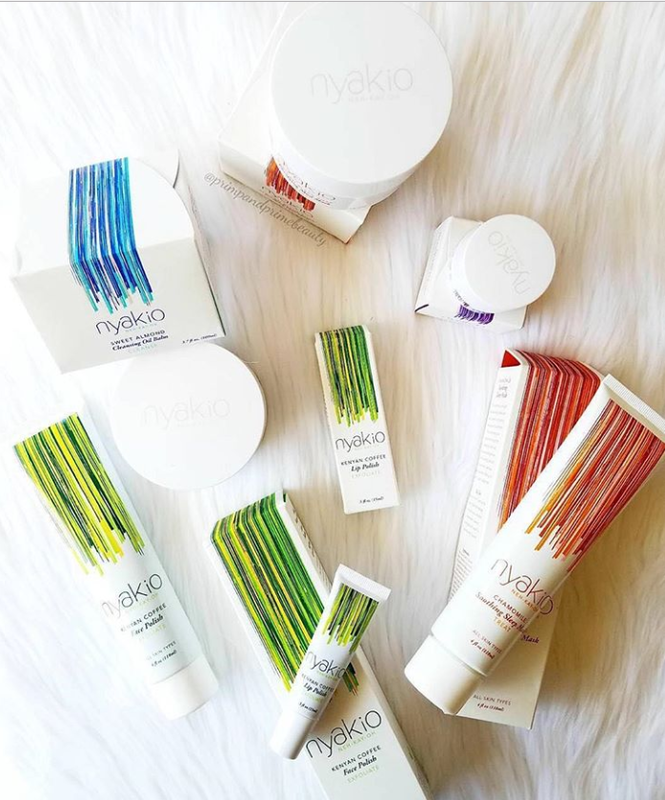 So if you’re looking for some products to help give you glowing summer skin, or even to implement into your self-care routine, I would definitely recommend that you give the Nyakio products a try! They smell and feel amazing and might be just the pick-me-up your skin needs! Will you give Nyakio products a try or have you tried them?